Jeremy Lee Renner is a well known Hollywood actor and producer. Apart from this he is also involved in music and film production. In his early thirties he toiled a lot to make a perfect entry into the hyper competitive world of professional acting, but couldn’t achieve big success. But he opted not to give up and finally he has claimed his position in the glamour world, at the ripe age of 41. He was born in Modesto, California. His present net worth is estimated to be around $35 million. He generated most of his wealth though his Hollywood acting career. He is still unmarried. Jeremy started his acting career back in 1995, with ‘National Lampoon’s Senior Trip’. In his early acting career he came in notice due to his sharp anti hero roles in some movies. But in recent times his biggest breakthrough came with the movie, ‘The Heart Locker’, in 2009. In the movie he meticulously plays the role of a bomb disposal expert. The movie got nominated for various prestigious film awards, including Oscar and BAFTA. Some of his other acclaimed movies are Dahmer, S.W.A.T., The Town, The Avengers etc. In the latest edition of Mission Impossible series he appeared alongside Hollywood heartthrob Tom Cruise, in the role of William Brandt. Jeremy is now a well known face in Hollywood and his recent success stories have made him one of the front row highest paid actors in the industry. Now his net worth is estimated to be well over $ 9 million. His 2012 movie, The Avengers, brought windfall commercial success, grossing billion dollars plus in international revenue generation. Currently he is working for several other big projects under big banners. By the industry standards of age, he came in limelight a bit late in his life. But at the age of 41, he is known for his mature and composed acting style and a mature attitude. The academy award nominated hero has some serious and well rooted connection in the Hollywood. His friends list from the Hollywood includes Colin Farrell, Charlize Theron, Sam Rockwell and Scarlett Johnson. When it comes to his personal life, he likes to keep it away from any kind of media frenzy. He has made it all clear in harsh words in several interviews given earlier. The Mission Impossible actor has dated several gorgeous Hollywood beauties, including Jessica Simpson. He is known to be a luxury watch enthusiast and in the movie “Mission Impossible-Ghost Protocol’, he was spotted with a Rolex Submarine Date. Jeremy Renner was born and brought up in Modesto, California. He was the first of the five children of his parents. His parents tied the knot when they were still teenagers and by the time Jeremy reached his teenage, they got separated. In his early life he was confused about what he wants to become in life and he got the taste of acting when he was studying in a community college. After graduating from Fred C. Beyer High School he joined Modesto Junior College. His major subjects in college were Computer Science and Criminology and due to his affinity towards acting he took acting classes as his elective. Right in his college days he fell in love with acting and decided to make a living with it later in his life. "I used to hang out at karaoke bars all the time. It was the most fun you could have when you had no money." "I like to stay busy, I like to stay focused, and I like to stay creative. Without being creative I'd be dead." "When I was growing up, I wasn't taught how to feel or communicate feelings." "I know it's a cliche but I never wanted to be famous. I don't believe anybody wants to be famous." "Other people can think ahead all they want. I just focus on the task at hand and try to move on." 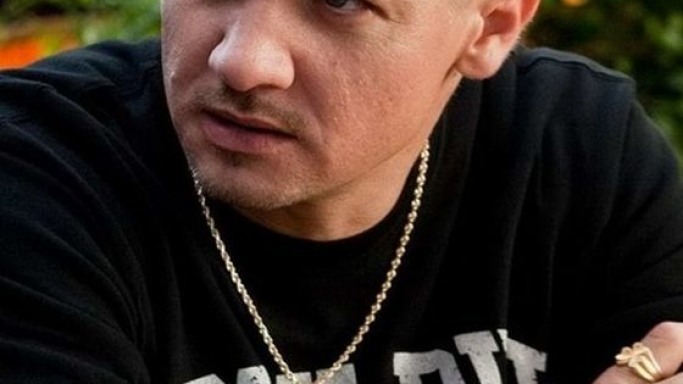 He received an Academy Award nomination for Best Actor for playing Hawkeye in Marvels The Avengers in 2012. He gained a nomination for the Independent Spirit Award for Best Lead Male for his starring role in the film Dahmer in 2002. He earned him several awards in the Best Actor category and his first Academy Award nomination for Best Actor and a Screen Actors Guild Award nomination for his role in the thriller The Hurt Locker in 2009. He gained his first Golden Globe nomination for Best Supporting Actor and his second Screen Actors Guild nomination for his role in The Town in 2010. He received the Best Actor Award at the Palm Beach International Film Festival for his title role in "Neo Ned". Jeremy Renner, apart for his action-packed roles in The Avengers, The Bourne Legacy and Mission Impossible: Ghost Protocol, is also a real-estate buff, and has changed over 15 homes in recent times. In early 2013, he listed for $25 million, the same mansion that he bought in Los Angeles for $7 million in 2007. Hilton and Hyland has the listing of the home that has undergone considerable renovation, refurbishing and designing under actor Kristoffer Winters. Location: The mansion's address reads as 107, Delfern Dr. Los Angeles, California and the home is located in the prestigious neighborhood of Holmby Hills. Accommodation: The palatial mansion boasts of more than 10,000 square feet of living space. That is easily enough to accommodate more than two dozen people. The land space has been distributed to six expansively large bedrooms and eleven bathrooms. Features: The Beverly Glen estate on which the rebuilt mansion sits consists of 2 acres of regal and expansive landscaping. There is a huge heated swimming pool with water jets all around it to add to the looks and fun. The home has been described unequivocally by all as an 'art-deco' place with ceilings as high as 14 feet and exquisitely designed furniture. There is a cobbled driveway that leads up to the door. The gardens around have been well lit with fountains and other adorning art pieces. Within the home there is a theater, a spa and five large fireplaces. The lighting all around the house is simply stunning and everything else about the home too is larger than life. Neighborhood: The affluent Holmby Hills neighborhood in Westwood district of Los Angeles is a favorite home for celebrities. Frank Sinatra, Jean Harlow, Judy Garland, Lana Turner, Nat King Cole, Marilyn Monroe and Michael Jackson are some of those who have called it home. After a happy luncheon with friends, Jeremy Renner returned home in a silver colored Dodge Charger, a latest muscle sedan which comes with 4 doors, 4 seats and a rear wheel drive. It is best known for its power drive which it offers through the 5.7-liter HEMI V8 capable of 370 hp. Though the exteriors have not changed much from the previous version, the interiors of the sedan arrive with ample space, a multimedia infotainment system and an all-new gauge design. The quality of the interiors, however, has had complaints of looking cheap. Jeremy Renner sure did not buy it for looks though! Spending a busy Saturday evening at Chateau Marmont, Jeremy Renner got into his Porsche Carrera 4 and drove away. With more than 3 decades of successful rule on the road, this new generation of the Porsche 911 series boasts of solid power, performance and handling that all its predecessors were famous for. The 6 cylinder petrol engine working via the 7-speed manual gearbox kicks up 345bhp of power which takes the car from 0-100 km/h in 4.9 seconds and a to a top speed of nearly 300 km/h. A regular at Chateau Marmont, Hollywood, Jeremy Runner sometimes prefers to ride instead of drive and at such times, and utilizes the Triumph motorcycle. The Speed Triple is Triumph's iconic model, 6 pounds lighter than the previous model. It also comes with a much narrower frame, an increased ground clearance and better packaging. The 1050 cc engine provides a 133 bhp thrust and uses a 6-speed gearbox with 12 gears to race to a top speed of nearly 250 km/h! Lightweight wheels, Brembo brakes and a decent mileage of 55 mpg complete this street-fighter and competent trackday bike. Jeremy Renner jetted off to the exotic beach resort of Ischia on July 2010 in order to attend the “Ischia Global Film And Music Festival”. The actor was accompanied by his friend, actor Channing Tatum and his actress wife Jenna Dewan for the entire duration of his four day long stay. The group took some time off from the film festival to relax by the side of the beach, and spent a lot of time tanning their bodies under the hot sun. Jenna looked gorgeous in a bold two-piece bikini and her hubby’s close pal Renner also enjoyed his brief swim in the sea. Location: The Italian island of Ischia is situated very near to the Naples coast. Accommodation: Ischia is home to more than half a dozen high end hotels. Renting a suite for a night during the peak holiday season at any of the elite accommodations of the class of "Terme Manzi Hotel & Spa", "Punta Molino - Beach Resort & Spa" and "The Grand Hotel Cocumella" comes with a price tag of approximately $5,000. Main Attractions: The majestic beauty of the beaches of Ischia coupled with the awesome natural scenery of its 40km long coastline has earned it the richly deserved title of the “Emerald Isle”. The island is famous not just for its sea resorts but is also home to mountains that are well suited for trekking excursions. The botanical garden of Villa La Mortella showcases many rare plant species. A trip to Ischia port offers the chance to see the ancient Aragon’s castle, which has now been converted into a museum showcasing a rich collection of medieval artifacts. Dressed in a chic tuxedo, Jeremy Renner was seen sporting the unique, legendary Jaeger-LeCoultre watch at the premiere of The Town in Venice. With a 24-hour indicator and dual time zone, the watch arrives with water-resistance and a power backup of 45 hours. It is based on manual winding and costs 10 grand. The Swiss manufacturer, Rolex has always been a symbol of status and perfection. Yet, it is popular and owned by millions, one among which is Jeremy Renner also. With a champagne stick dial, the Presidential wristwatch he wears arrives with a golden strap and dial from a brand that makes at least 2000 watches a day. At the 2011 Golden Globe Awards, Jeremy Renner picked the lace-up calf-leather shoes from Prada to cover his soles. The black colored shoes costing a little under £400 is simply perfect to go along with a black tux. It arrives from the Italian Fashion company which has retail outlets worldwide. At the 2012 ESPY Awards, Jeremy Renner was dressed in a 3-piece suit from Lanvin, the oldest coutre house in France. The luxuriously fitting, slim fit suit comes as the Hugo Boss brand which is a part of the same fashion house also known for its intricately-designed footwear, exquisite jewelry, bridal gowns and leather bags.